For this post I am going to revisit an old paper for reasons described in my previous post on old paper, new paper. 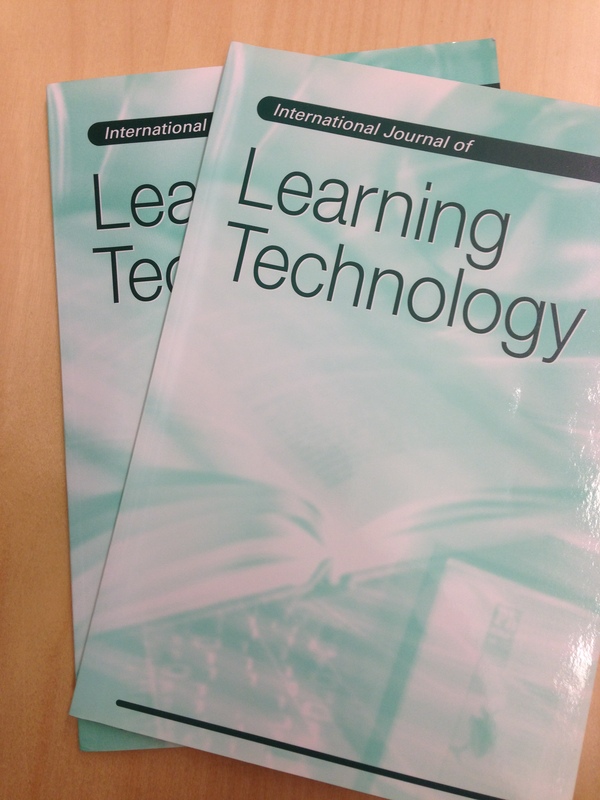 It appeared in a Special Issue (actually double issue) of IJLT which meant that there was some delay from writing to publication so the paper itself came out of some study leave time spent in Australia in 2004. I was very kindly hosted by Peter Goodyear at the CoCo research centre at The University of Sydney. The whole visit was wonderful in many ways. Part of the time was working with Peter and with James Dalziel from Macquarie University on the different perspectives we each brought to considering the ways that teachers design their materials. As the person with the study leave time I carried out the integrating task in the paper, but what was key was the brainstorming sessions in Peter’s office and a visit up to James’ base in Macquarie to see his work. While our views overlapped, the paper presents three different perspectives which were each led by one of us: Peter on patterns, James on LAMs and myself on Learning Design. At the time IMS Learning Design was very visible and had expectations that it could provide an integrating framework from shared designs through to playable systems. I think that what has emerged is more a hybrid of the different approaches. Perhaps not as directly as suggested by the paper’s outlining of an alternative form of James Dalziel’s LAMs system, but with a broader aim to help share approaches and help people think of alternatives. It certainly should not be said that learning design has failed to have impact, especially here at the Open University. After my work on the paper I have spent a period less directly involved in learning design research, focussing rather on open education, however things have certainly moved forward. The OULDI project which combined external support from Jisc and internal focus on updating module design inside the OU culminated in a set of tools and the running of the OLDS-MOOC (more on that in a paper and evaluation report). 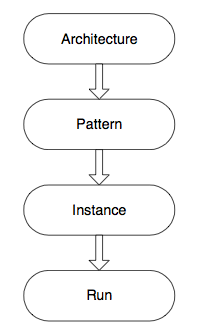 The publicly released tools demonstrate the hybrid approach: unlike IMS LD the output is not intended to be a full playable encoding of the “unit of learning”, it goes beyond patterns in using a range of tools to capture and represent the stages in a way that measures some of the impact, and while it mirrors LAMs in having a relatively easy to use toolset it does not integrate with a student facing component. The OULDI work, not surprisingly, fits with the way we do things here. A team approach that needs clear steps (stage-gates) and multiple perspectives. Learning design is then communication but also an essential part of understanding expectations on learners which can lead into making effective use of learning analytics. 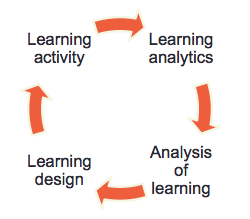 In the 2013 Innovating Pedagogy report the point is made that there is a cycle from design to activity to analysis and back to design (the report was collaborative so not quite sure who to credit for this – maybe a mix of Doug Clow, Rebecca Ferguson and Mike Sharples) . Without the design part the chance to actually do something with what we measure is much reduced. To bring things up to date learning design is a also a key element in the METIS project (see the recent METIS newsletter). There learning design is used to structure workshop designs and introduce the tools that help capture ideas. For the pilot workshop inside the OU the focus was on designing collaboration, not on learning design itself. Perhaps this demonstrates that the learning design approach has matured; no longer a novelty to be introduced (as it very much was in 2004) rather an assumed need to design learning in 2013. This post started with a look back on my paper from nearly 10 years ago. It has ended with more connections to current work (of others more than myself) than I expected – and plenty of signs that Learning Design is of more importance now than then – but maybe no longer part of the hype cycle.